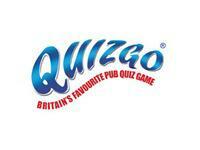 Quizgo combines the best parts of the traditional pub Quiz and Bingo. The traditional pub quiz has one major flaw – it is quite often the same quiz team or the same few quiz teams who dominate the quiz much to the annoyance of many of the regular pub quiz goers. Quizgo has revolutionized the pub quiz – addressing the major issue of the same few teams continually winning the pub quiz and adding the entertainment factor back into quiz night. 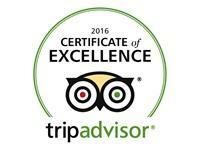 Seaview Inn has been recognised with a Certificate of Excellence! Should you wish to stay for more than one night, or want more than one room, then please phone Michael on 01326 311359 or 07805 171018 to see if there are any special rates available. Over night stay for student pick up but a pub regularly visited when in Falmouth. Great views from tables outside and good place to watch sport with lovely atmosphere. 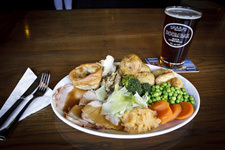 Good choice of food and drink and clearly can see pub is used by locals and visitors. Dogs welcomed and a lovely environment to spend some time just off the main streets of Falmouth.